Note: Schematic, Schematic Library, Spice Symbol, Subpart and Subckt use the same format. 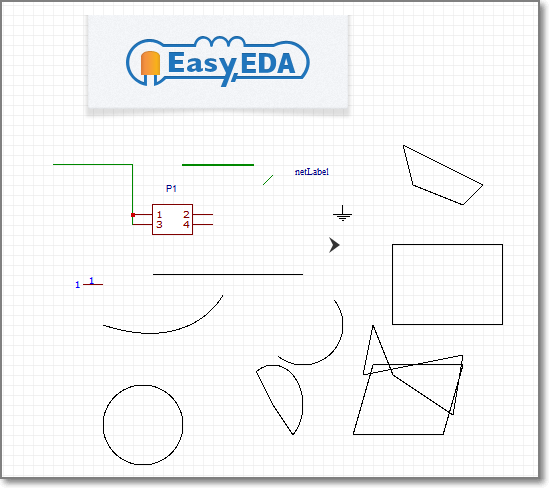 Because an object in EasyEDA is an unordered set of name/value pairs in JSON format, but EasyEDA’s graphs are ordered. We need an array to store the order of these objects. Every schematic lib has an itemOrder key and the whole JSON object has an itemOrder key. All wires will be stored to wire key, their id will be taken as the key such as gge48. All schematic components will be stored to schlib, their id will be taken as the key such as gge7. Schematic component JSON is a little bit complicated, it has lots of other JSON Keys, such as polyline, image, path etc.